Wed., 12 Jun. - Thu., 20 Jun. Mon., 17 Jun. - Tue., 1 Oct. Mon., 20 May - Sat., 1 Jun. Sat., 7 Sep. - Sun., 15 Sep.
Fri., 7 Jun. - Sun., 16 Jun. Mon., 2 Sep. - Sat., 21 Sep. Thu., 1 Aug. - Sat., 31 Aug.
Wed., 29 May - Thu., 13 Jun. Fri., 4 Oct. - Tue., 15 Oct.
Fri., 31 May - Sat., 31 Aug. Tue., 25 Feb. - Wed., 4 Mar. Mon., 5 Aug. - Mon., 2 Sep.
Fri., 19 Jul. - Fri., 26 Jul. Situated near the airport, this hotel is 2 mi (3.2 km) from Eurocopter and within 6 mi (10 km) of Karting de L'Etang and Parc du Griffon. Plage Du Jai and Tour Musee are also within 9 mi (15 km). 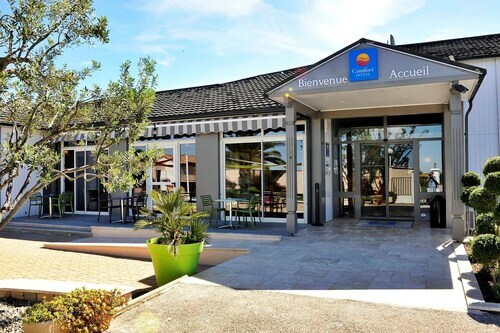 Situated near the beach, this hotel is 1.9 mi (3.1 km) from Eurocopter and within 6 mi (10 km) of Karting de L'Etang and Parc du Griffon. Plage Du Jai and Tour Musee are also within 9 mi (15 km). Vitrolles Marseille Provence Aeroport Station is 28 minutes by foot. Situated near the airport, this hotel is 0.9 mi (1.5 km) from Eurocopter and within 6 mi (10 km) of Karting de L'Etang and Parc du Griffon. Plage Du Jai and Tour Musee are also within 9 mi (15 km). 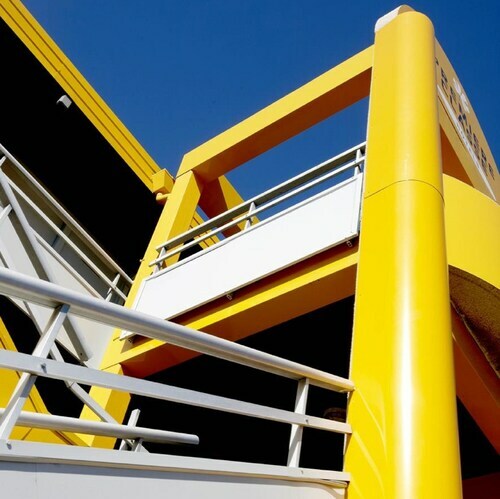 Vitrolles Marseille Provence Aeroport Station is 10 minutes by foot. Situated near the airport, this hotel is 1.9 mi (3.1 km) from Eurocopter and within 6 mi (10 km) of Karting de L'Etang and Parc du Griffon. Plage Du Jai and Tour Musee are also within 9 mi (15 km). Vitrolles Marseille Provence Aeroport Station is 29 minutes by foot. 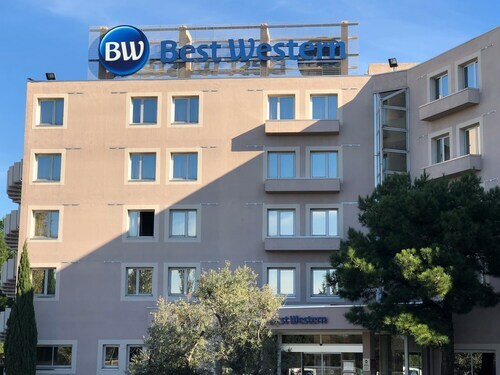 Situated near the airport, this hotel is 4.8 mi (7.8 km) from Parc du Griffon and 11.3 mi (18.2 km) from Calanque du Cap Rousset. Roquefavour Aqueduct and Marseille Provence Cruise Terminal are also within 16 mi (25 km). Vitrolles Marseille Provence Aeroport Station is 11 minutes by foot. 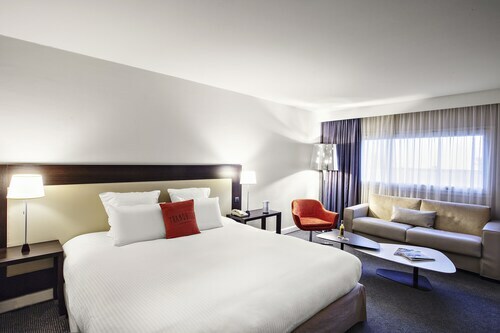 Situated near the airport, this hotel is 2.2 mi (3.5 km) from Parc du Griffon and 2.7 mi (4.4 km) from Eurocopter. Plage Du Jai and Karting de L'Etang are also within 6 mi (10 km). Situated near the airport, this hotel is 0.7 mi (1.1 km) from Eurocopter and within 6 mi (10 km) of Karting de L'Etang and Parc du Griffon. Plage Du Jai and Tour Musee are also within 9 mi (15 km). Vitrolles Marseille Provence Aeroport Station is 9 minutes by foot. Question : How much is a plane ticket to Marseille (MRS) from Montreal (YUL)? Answer : Cost can range anywhere from $686 to $5,652, prices for YUL to MRS do change a lot more than most routes from Canada. Prices tend to be lower the further out you book. Question : What is the cheapest date to fly to Marseille? Answer : As of Apr 15th, the best day for deals to Marseille (MRS) is May 13th. It cost $723, which is 39% less than the average price to book the same route. Answer : The cheapest day to fly from Montreal to Marseille is on Tuesday. If you want to save some money on your next trip look for flights on that day. Question : How long do most people stay in Marseille? Answer : Of course, you are not most people, but if you were, you'd stay about 20 days. Question : How long is the flight from YUL to MRS? Answer : Air Transat currently holds the fastest travel time with seven hours and 35 minutes. For example, you would arrive in Marseille at 10:50 AM CEST if you left Montreal at 9:15 PM EDT. Remember, there is a six hours time difference. Question : How long does it take to fly from Montreal to Marseille? Answer : Definitely the faster option to get to Marseille when compared to riding a bike. Flying from YUL to MRS typically takes about seven hours and 35 minutes. Remember, there is a time change of six hours. Question : How many flights are there per day from Montreal to Marseille? Answer : The number of flight times varies by day, but on average, YUL to MRS sees only one choice. The average route departing Canada currently has six different flight times per day, so expect fewer options than you're used to. I only read negative reviews about Air Canada Rouge and was prepared accordingly. Great flight. To me it didn't feel any tighter than regular AC flight in economy to Europe. And we arrived 30 minutes early. For me it was the best flight to Marseille yet. Price/quality ratio was perfect. It was very long to have our luggage. But the flight was perfect.